Our History – Neurological and Spinal Surgery, L.L.C. Our practice was founded by Louis Gogela, Sr., M.D. in 1950. He completed neurosurgery training with Drs. Adson and Love at Mayo Clinic in 1950. He was the second formally trained neurosurgeon in Nebraska. He practiced alone until the mid 70’s when Dr. Randy Winston came to town, however Dr. Winston moved to Des Moines after about 3 years. 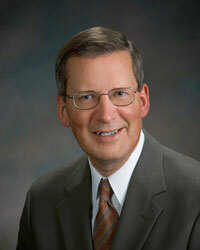 Dr. Pierson joined in 1978 and Dr. Gelber in 1979 after residency training at Mayo Clinic with Drs. Sundt, Laws, Miller and MacCarty. Dr. Louis Gogela was a pioneer in surgical treatment of Parkinson’s disease in the 1960’s with the help of Robert Connelly, a radiology technician. Dr. Pierson did the first EC-IC bypass in Nebraska in 1978 and developed transsphenoidal surgery for pituitary tumors in Lincoln with help from Dr. Ed Stivers and Dr. Russell Semm. Together, Drs. Pierson and Gelber pioneered micro neurosurgery in Lincoln, the use of intraoperative image guidance, microvascular decompression and partial rhizotomy for trigeminal neuralgia. Drs. Watt and Kent joined in the 90’s and, with Dr. Gelber, brought instrumented spine procedures to Lincoln neurosurgery. Drs. 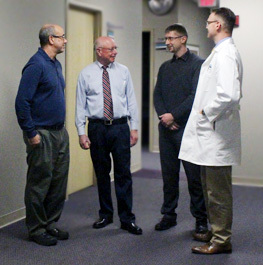 Watt and Kent began Gamma knife stereotactic radiosurgery in Lincoln in 1999. Our new Gamma Knife Perfexion was installed in July 2017 and our practice will continue to perform radiosurgery for tumors and functional neurosurgery. We also were among the first to perform outpatient lumbar and cervical disc surgery and have been doing it since 2000. Drs. Watt and Kent have moved on, but Drs. Andrew Livingston and Steven Gogela joined us in 2015 and 2017, respectively. 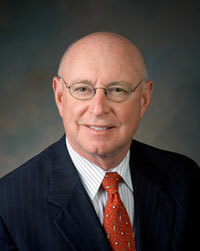 Dr. Livingston trained at Houston Methodist has a major interest in complex spine surgery. Dr. Gogela trained at the University of Cincinnati and Mayfield Clinic and is picking up where his grandfather left off. 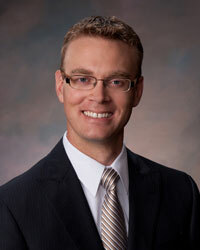 Todd Sorensen, PA-C was the first neurosurgical physician’s assistant in Lincoln and was with NSS for over 20 years. He had experience with deep brain stimulation for Parkinson’s disease and essential tremor during his training. He and Dr. Gelber developed the use of deep brain stimulation for treatment of those conditions in Lincoln in 2007 when they performed their first DBS implant. To date over 100 cases have been performed. Corlan Vonderschmidt, PA-C and Adam Depue, PA-C have joined us within the last five years, rounding out our surgical staff. In 2008, we installed a Siemens CT scanner, a digital xray, and c-arm fluoroscopy in our office to permit quick and convenient diagnostic imaging. In September 2018 we purchased a Siemens Somatom go.UP 64 slice CT scanner as well as a DRX-1 Carestream digital X-ray for more precise, up-to-date imaging. Dr. David Diamant, a physiatrist, joined in 2000 and brings expertise in complex pain problems to the practice. He is an expert in non-surgical management of the spine and is skilled in spinal injections for both diagnosis and treatment. Our imaging equipment facilitates his practice and our overall care of patients. Trauma care is a major concern of our practice. Dr. Gelber is a certified Advanced Trauma Life Support instructor and has nearly 40 years of experience in the care of neuro trauma patients. Drs. Gelber, Livingston and Gogela also care for patients with complex spine injuries in addition to cranial trauma. We strive to perform modern, state of the art neurosurgery, and will continue working to maintain neurosurgical excellence in Lincoln long into the future. A surgical procedure to treat symptoms of Parkinson’s Disease. Electrodes are placed in the brain whereby this form of stimulation helps rebalance the control messages in the brain, thereby suppressing tremors. Stereotactic radiosurgery (SRS) is a non-surgical radiation therapy used to treat abnormalities and tumors of the brain and spine. It can deliver precisely-targeted radiation in fewer high-dose treatments than traditional therapy, which can help preserve healthy tissue. Artificial disc replacement is designed to maintain motion and flexibility in the neck and spine for patients suffering from the symptoms of a degenerated disc or an acute unresolved herniated disc. With minimally invasive procedures, the incision is small and the muscles near the patient’s spine are often moved aside or spread apart rather than being cut. Diagnostic Medial Branch Blocks and Facet Joint Injections can be used to identify the facet joints as the cause of pain, and are the preliminary procedures prior to a radiofrequency neurotomy of the medial branch nerves. A minimally invasive, high-tech surgical procedure using targeted radiofrequency waves to relieve chronic neck and back pain emanating from facet joints. Originally refined for use in biological warfare, we are now using a toxin from the bacteria that causes botulism to treat migraines. BOTOX or Botulinum Toxin Type A, is a drug prepared from the bacterial toxin botulin and can be effective in treating migraine headaches. 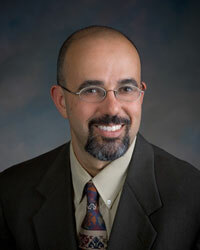 Dr. Steven L. Gogela, M.D. Dr. Andrew D. Livingston, M.D. Dr. David S. Diamant, M.D. 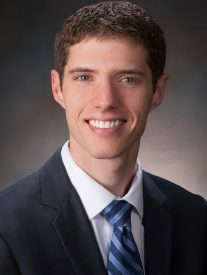 Dr. Eric W. Pierson, M.D.